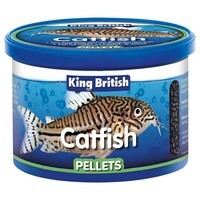 King British Catfish Pellets is a complete diet for all types of catfish and other algae eaters. It is highly digestible and contains a low Waste Formula. This high Protein sinking formula contains Immuno health booster.